Since I am not running any anti-virus or anti-malware programs while using Windows XP in VMware Fusion, I don’t want Windows to connect to the Internet. 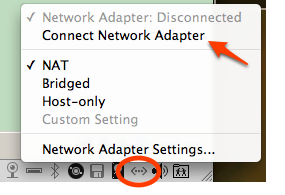 It’s very easy to toggle my network connection in Fusion. Click the little “double arrow” icon in the bottom toolbar in Fusion. Choose to Connect or Disconnect from the network. Very easy. While watching the football game yesterday afternoon, we noticed commercials for Dodge trucks with an option for wifi connectivity. Googled and found that yes, indeed they added 3G wireless connection using Autonet Mobile to their vehicles. This made me immediately think about security. Could anyone else connect to the “hotspot” or did it offer password protection, or a firewall, etc. Did some more digging. It costs $500 for the router (plus install fees) and the plans are $30 per month for 1gb of data transfer and $60 for 5gb. From what I read, it doesn’t appear to be that fast of a connection; you will not be streaming video or playing online games. They will install the router in any vehicle, doesn’t have to be a Chrysler vehicle. Your Wi-Fi connection is secured with WEP encryption, MAC address restriction or WAN port restriction. Also supports VPN pass-through. I can’t believe that there are still companies that think WEP and MAC address filtering are security enhancements. Well at least they support VPN. And maybe that is eventually how it’s going to be. Wifi will be open, and we each have our own secure VPN connection. I could live with that! I sent an email to the sales staff at Autonet to ask if they will be offering WPA security instead of WEP, we’ll see if she answers. It’s an interesting idea and I am sure eventually we will all have wireless in our cars, but for now, it’s too new (and costly) for me to even think about. Last night, I went to bed before midnight, and the Internet (wifi) was working fine. This morning, it was extremely slow, and then non-existent. I phoned my husband who wakes up and leaves for work hours before me, and he said he was had the same problem when he tried to use the wireless connection this morning. 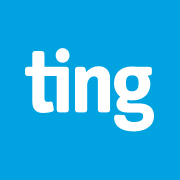 I tried unplugging both router (Linksys WRT54GS) and Comcast modem (the modem is on battery backup, so that was not very helpful) to restart, and I even bypassed the router, and connected directly to modem; it was the same…no connection. I phoned Comcast, and she wouldn’t help unless my laptop was directly connected to the modem. Geez, what evah. She told me how to reset the modem by hitting the small reset button at the back of the modem. Oh yeah, I forgot about that! I have to remember to use that button more often! Anyway, after I restarted my laptop, voila, the internet was back….and the next part was kind of strange, but she said (paraphrasing) that my router might still be the problem, and that just because the connection worked now, it might not when I connect my router. I disagreed and informed her that I didn’t think it had anything to do w/ the router, and I told her that I would be fine troubleshooting that on my own anyway. 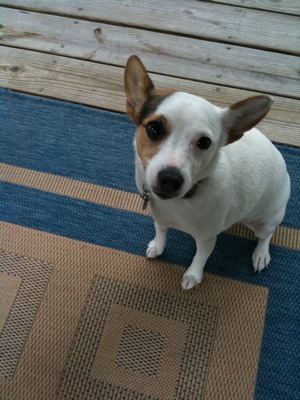 And guess what, she jinxed me! Plugged in the router. What? No connection?! Oh no! I tried everything! Unplugging router, restarting laptop, updating router firmware, resetting router to factory settings, etc. and nothing worked. I knew it couldn’t be wired cables, because I was connected to my Linksys router and could access the setup/admin through my browser, using both wired and wireless connections. And the cable running from the modem worked when plugged in directly to my laptop. At this point, I started to blame Comcast, thinking it was some sort of conspiracy. Today, October 1st, was the first day that they began their new “bandwidth limit” so of course they messed up my router, right? Anyway, I figured that I would just have to go out and purchase a new one. sigh. Came home w/ a new Linksys WRT54G2. Plugged that in, started it up, and nothing. No connection. What? Okay something must be wrong. And then it dawned on me. Somewhere in my google travels today, trying to troubleshoot the problem, I read advice that each item needed to be restarted in a specific order. Modem first, router second, then computer. Okay, let’s try one more time. I shut down the laptop, unplugged (electricity) the router, and then I reset the Comcast modem (with the little button on back). Right after that finished booting up, I plugged in the Linksys router. Then I restarted my laptop. Oh joy!! I have internet. Both wired and wireless. Okay, so let’s find out if I can get my old router working instead. Yep, went through the whole process again, and yay, it worked. I will return the new router, and keep my old one! I have a few saved camera photos on my LG VX6100 and since Verizon Wireless restricts access, I needed to figure out how to access it myself. 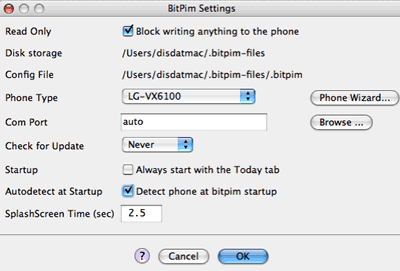 I ordered a cheap USB data cable on Amazon.com and downloaded BitPim – the free open source software for Macs, Windows and Linux that allows access to the file data on closed/restricted cell phones. I am a Mac User, but I suspect the experience is fairly similar for Windows users, although it states in the help files that Windows users need drivers. After download, I installed and launched BitPim. I highly recommend reading through the help tutorial, it will save time on figuring out what to do. I attached the LG VX6100 to my laptop, after BitPim launched and that could be the reason it didn’t work initially. I quit the app, and started again. It didn’t recognize my phone again at start up, but somehow once I set the preferences again, it did recognize the phone. NOTE: If you just want to download your data, check the box next to “Block writing anything to the phone” – I unchecked this setting in order to upload ringtones. 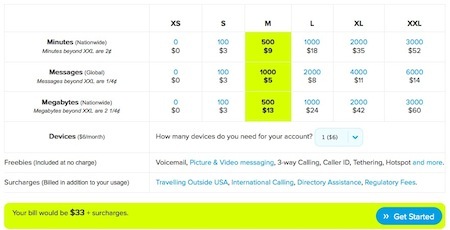 Click the “Get data from phone” icon, and add a check next to the items to download. I didn’t care about my contacts, call history, etc. All I wanted was my camera photos. I chose “wallpaper” and “ringtones” in the data download settings. I checked the log, and my data was downloading. For some reason my ringtones didn’t download, but a few sounds did download; all my camera photos downloaded, along with the default phone graphics. I wanted to test the ability to upload a new ringtone to the VX6100, so I found a cute little “Bewitched Nose Wiggle” sound on my hard drive. On the main workspace, right-click on Ringers, and choose “Add to Ringers”, navigate to your sound file, and select it – BitPim converts to .mp3. 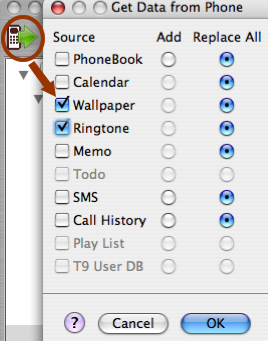 Once it was added to the ringers folder, I chose the “Send Data to Phone” icon, and carefully chose the “add” radio button with a check box next to ringtones. I did not want to choose “Replace All” as I didn’t want to risk losing all my beloved default ringtones, especially since it was unable to download them. It worked! I have a new ringtone on my cell phone! COOL! Since the ringtone was so easy to add, I thought it would be cool to add one of my logos as my phone wallpaper. On the main BitPim workspace, right-click on Images and choose “Add to Images”, navigate to the image file. Choose how you want to format the image; I selected wallpaper, and I adjusted the crop boundaries to fit fully around my image. Using the same process as the ringtone upload, I clicked the icon for “Send Data to Phone” and again, I carefully chose the “add” radio button along with a check box next to images. It worked and now I have my web site logo on my cell phone! LAST NOTES: BitPim cautions unplugging the phone from your computer if data is busy uploading or downloading. Be very careful with this. I don’t know if I was correct, but I quit the app before unplugging. This is not official software, so it could damage your phone irreparably, so proceed at your own risk!